Yesterday, gold hit the “death cross” – an indicator used by technical analysts that triggers a trading signal when the 50-day average gold price crosses below the 200-day average. The chart below (click to enlarge) shows what it looks like. The light blue line is the 50-day moving average and the purple line is the 200-day moving average. Yesterday, they crossed. 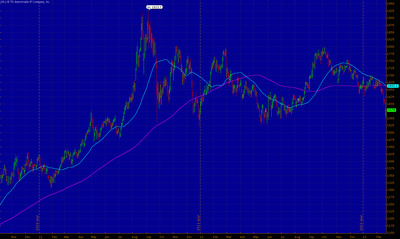 The last time gold hit the “death cross” – in April 2012 – gold fell 9.1 per cent over the next month before rebounding. The previous “death cross” – which you have to go back to September 2008 to find – resulted in an 18 per cent drop over the next 8 weeks before turning around and heading higher. 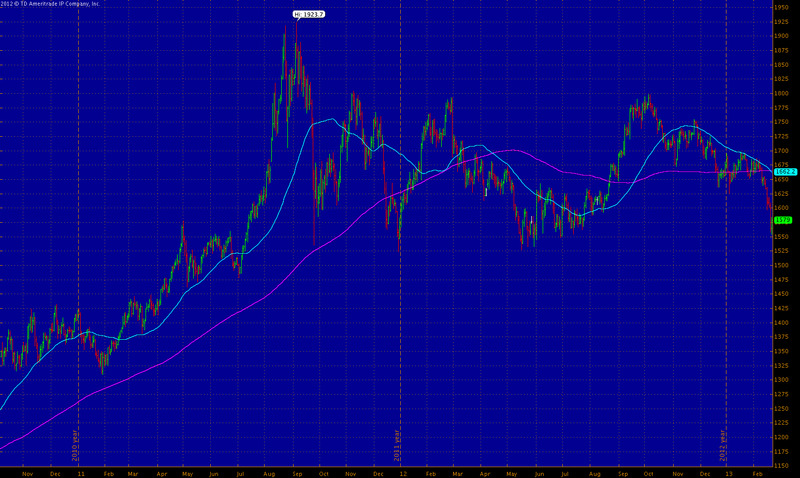 However, if you look at the last 22 times gold hit the “death cross” in aggregate, the picture changes quite a bit. Schaeffers Investment Research analyst Ryan Detrick crunched the numbers. Eric Sprott and the WSJ pointed us to this. Here is what Detrick found: the “death cross” – at least when it comes to gold – is a bit of a false indicator. 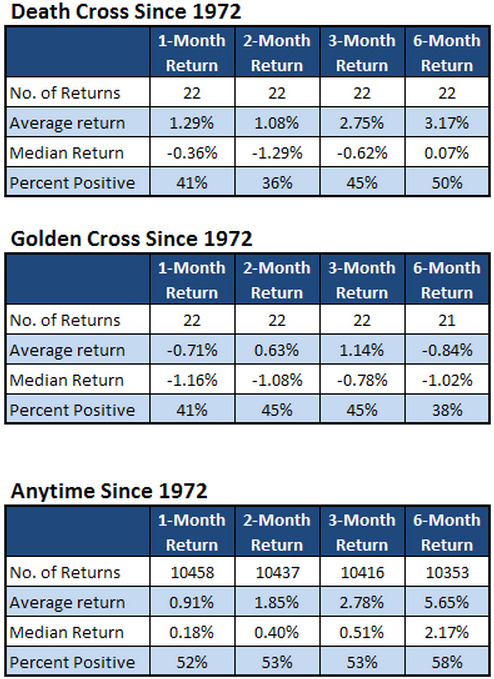 The “golden cross” – a bullish trading signal generated when the 50-day moving average rises above the 200-day moving average – is actually a less successful predictor of positive gold returns, as the tables above show.